Header Image: Countryside, together with its partners Notting Hill Genesis, has broken ground at Fresh Wharf in London. 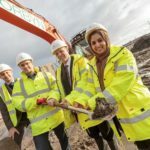 Create Homes has announced it will begin work on a third residential development in Lancashire in 2019. The latest site is situated in the semi-rural village location of Pilling, on the Wyre. The new development will contain 37 units in a mix of quality detached and semi-detached two-, three- and four-bedroom properties. The development is planned to include a mix of the company’s popular house types such as The Rossall and The Sowerby, as well as The Brock – a new 4-bedroom house type, which extends their portfolio. 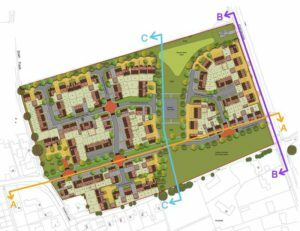 The first phase of building work in Pilling will begin in Feb 2019 with properties available to be bought off-plan in the Summer. Southern Housing Group, one of the largest housing associations in London and the South East, has completed the purchase of two development sites in Hackney Wick. The sites will be brought together to form one community, providing 144 homes and 64,000 sq ft of commercial space. The new homes will feature a mix of tenures including open market sale, shared ownership, London Affordable rent, and London Living Rent. The affordable element will be partially funded through the Mayor of London’s ‘Homes for Londoners’ programme. Countryside, together with its partners Notting Hill Genesis, has broken ground at Fresh Wharf – a two phase 911-home regeneration scheme in Barking, East London. Set across 10 acres of brownfield industrial land, Fresh Wharf is located by the River Roding, near Barking Town Centre. It will comprise one, two and three-bedroom apartments and three-bedroom houses. Demolition commenced in February, and the initial completions in the first phase of the development, which will deliver 532 homes, are expected in autumn 2020. The entire development is due to complete by 2026. Developer Lovell has acquired 14 acres of land in Saxilby, Lincolnshire, where the company will build 133 new homes. Ingleby View is a £26m residential development which already has detailed planning consent. Construction will start in early 2019. Developer Crest Nicholson has purchased a 4.7-hectare site on the western bank of the Gloucester and Sharpness Canal for redevelopment in an £85m project. The scheme at Monks Meadow will deliver 411 residential properties, comprising 362 one- and two-bedroom dock and canal side apartments, along with 49 two- and three-bedroom houses. Works at Gloucester Quays are scheduled to begin in November 2018, with the first homes available to move into in September 2019. 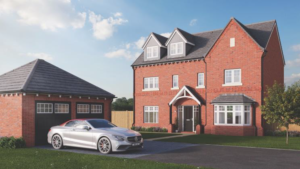 The company is set to launch an entirely new range of house types at the Waterfront, all of which will be open-plan, contemporary properties with high-specification fixtures and fittings as standard.